Choosing the best home improvement projects or remodeling jobs for your home can be a wonderful way to add value, but it also can be a great way to update your home for a future sale. If you are a homeowner looking for projects that are going to have a good “return on investment,” then let’s start reviewing projects for your home that can add value and make your house become much more energy efficient. The siding on your house can be a very important part of not only maintaining the look of your home, but also making sure your home stays properly insulated. Vinyl siding is one of the most popular types of siding, because of its energy efficiency and its low maintenance. An added bonus of having vinyl siding is there is no painting required. The life expectancy of vinyl siding on your home is going to be approximately 40 years, if it is maintained properly. Siding can add value to your home, but conversely, having worn siding can decrease its up to 10%. That’s definitely something to consider if you are planning on putting your home on the market. Once you have determined that your home improvement project is going to be siding installation, it is perfect time to start thinking about siding colors — or you may want to go with something totally different and look at all of the different types of house siding that are compatible with your home. If you live in an area that has a great deal of rain or snowfall, it is always a good idea that you get up on your roof yearly for inspection. You are looking for any type of leaking or damage, as well as clogged gutters. 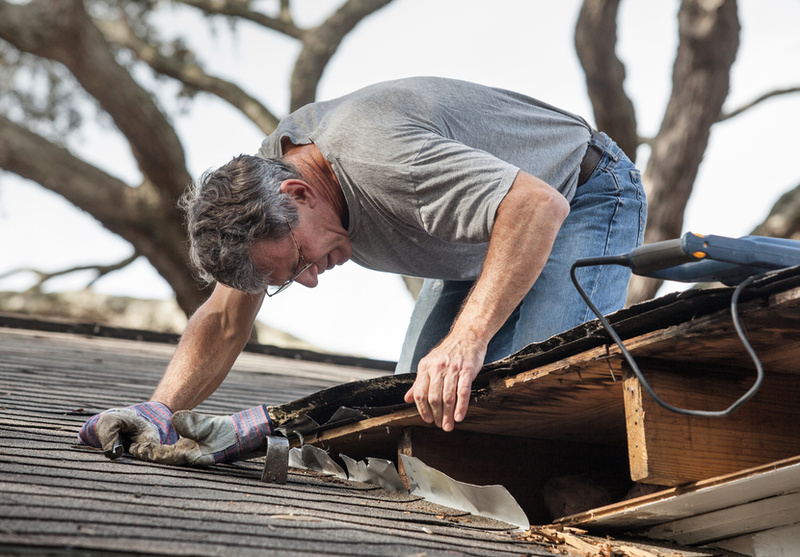 If your roof is older, also be on the lookout for missing shingles or any type of worn or curled of edges. These could mean the potential for a leak in the near future. Also, depending on the age of your roof, it may simply be time for an upgrade. Roofs that are older need to be completely replaced, instead of having new roofing shingles installed over the existing ones. Experts in the roofing industry report that if a new roof is not completely installed, a homeowner is cutting its lifespan by 20%. Adding roofing insulation and energy efficiency is also another reason why a roof home improvement project is a wise choice. Even if you need just a simple roof repair, it is recommended that you handle the problem before it becomes an expensive repair job. Both of these projects can add value to your home and also help with any future plans for putting your house on the market. You are adding curb appeal, plus you are also showing any buyer that you are a homeowner who has properly maintained your home over the years.